The Super Bowl is next weekend so I thought this would be a great time to post a chili recipe. 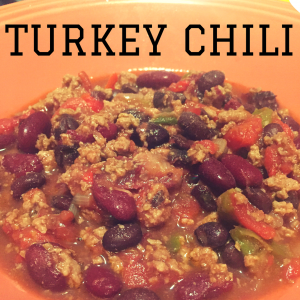 Chili is super easy to make and there are thousands of variations. If you are having people over to watch the Super Bowl, a chili bar with various toppings could be a fun, no fuss, self service way to feed your guests. Just make sure you have healthier topping choices such as avocado, jalapenos, hot sauce and reduced fat cheese or reduced fat sour cream. 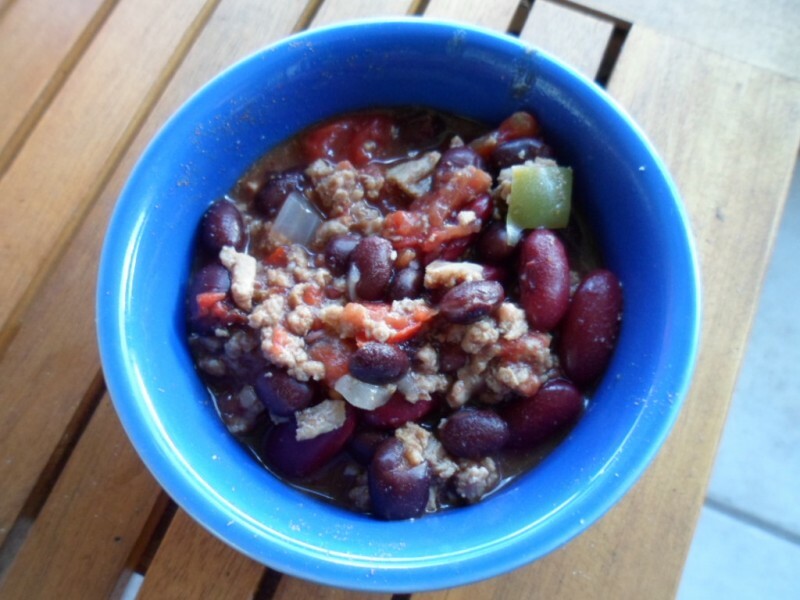 In my turkey chili recipe I use lean ground turkey, reduced sodium canned beans, canned tomatoes with no salt added, fresh veggies and spices. 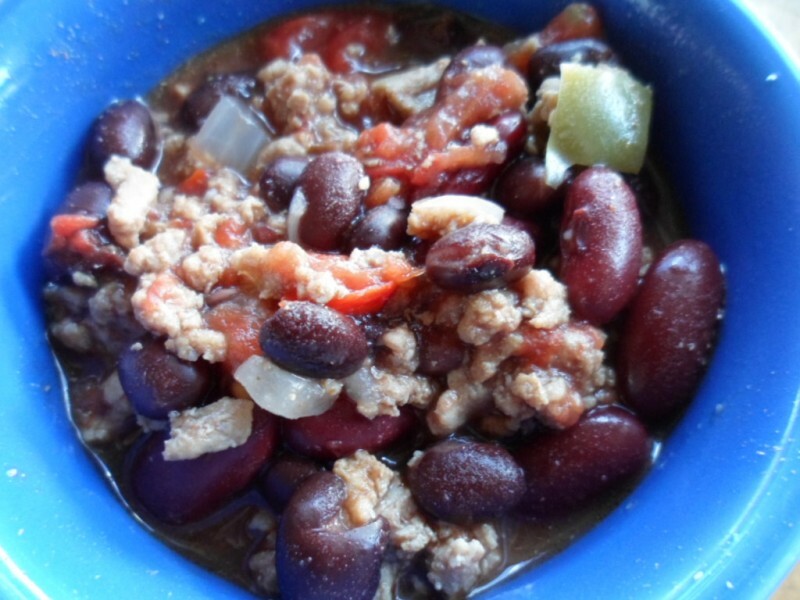 I like using a combination of fresh and canned ingredients because chili should be an easy, hassle free recipe where you just combine everything and let it cook. The turkey, beans and veggies make chili full of protein and fiber which can help you feel full and satisfied (and then maybe you won’t munch on all those potato chips during the game 😛 ). You can also check our my “Game Day” board on pinterest for more recipe ideas. And for all the vegetarians out there, I do have a Hearty Veggie Chili recipe you can check out. Spray bottom of a 5 quart Dutch oven with cooking spray and turn heat up to medium. Add ground turkey and spices to pan. Cook until turkey is browned, about ten minutes. Add peppers and onion. Cook for another 5 min, mixing well. Add tomatoes and beans (don’t drain liquid) and cover. Continue cooking on medium heat for 20 minutes. Remove lid and cook for 10- 20 more minutes to cook down the liquid to desired thickness. This looks really good! Let’s have a Super Bowl party! !